Hundreds of migrants have stormed a train station and clashed with riot police in Greece as part of an attempt to reopen a land route to Germany. 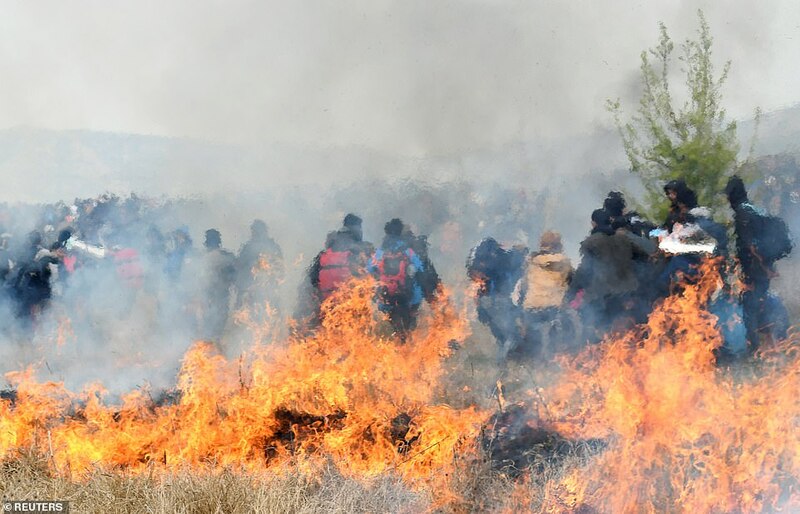 Mothers carrying their babies were seen running from tear gas while fires were started amid chaotic scenes in the village of Diavata, close to the Greek border with Northern Macedonia. Migrants had gathered in the field hoping to make their way illegally up through the Balkans towards northern Europe. It followed reports on social media of plans for an organised movement to cross Greece’s northwest border with Albania in early April. The DM is really hoping to tug on the heartstrings -Won’t someone think of the children!